Horses have always conjured up myth and magic to me. I always associated them with fairy tales and wonder. They sparkled and spun on carousels, they were winged and swept stardust from the skies, they were creatures of speed that belonged in the wilderness. 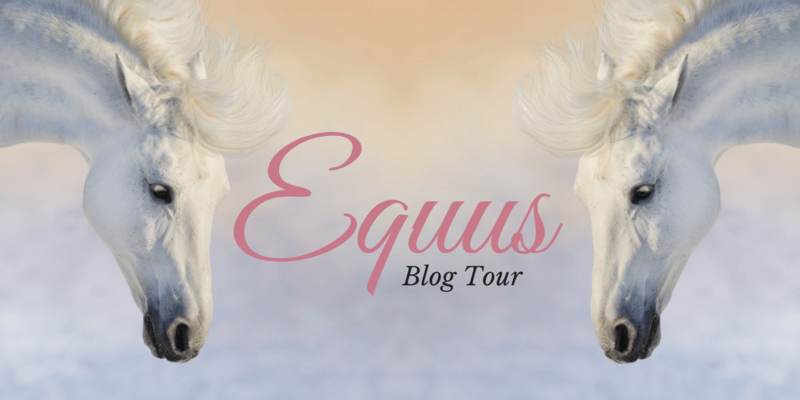 So when I saw that World Weaver Press was open for submissions for stories about equines I jumped at the chance. I have been fortunate enough to have my story, The Horse Witch, selected to be part of this wondrous anthology and am very much looking forward to seeing it come out. As part of our celebration and launch of the book, some of the authors have taken time to write guest blogs and I am lucky to host K.T. Ivanrest whose story, Lightless, appears in this anthology. K.T. Ivanrest wanted to be a cat or horse when she grew up, but after failing to metamorphose into either, she began writing stories about them instead. Soon the horses became unicorns and the cats sprouted wings, and once the dragons arrived, there was no turning back. When not writing, Kate can be found sewing and drinking decaf coffee. She has a PhD in Classical Studies, which will come in handy when aliens finally make contact and it turns out they speak Latin. She keeps a website here. 1. Almost all of the names in this story are based (loosely) on Latin and Greek words (#UsingMyDegree). The MC’s name, Fulsa, is a pseudo-Latin version of Greek “Phaethon” (you know, the guy who tries to drive the chariot of the sun and goes down in a fiery inferno? I swear my story has a better ending!). Phaios is Greek for “grey, dusky,” and Aithra can be related either to “aitho” (to burn, blaze) or “aither” (air, heaven, ether). Selphoros is “selas” (light) and “phoros” (bearing, carrying), and the mare Lun is Latin “luna” (moon) with a letter missing. Only her teammate Sona gets left out—for her name I took the word “sun” and tweaked. 2. I’ve made it my authorly goal to include a flying animal in each of the fantasy worlds that I create. In the world of my trilogy-that-may-never-get-finished, there are flying snakes. In the world of Lightless, there are flying stingrays. Unfortunately, the stingrays didn’t make it into the story, so you’ll just have to wait for the novel set in the same world. It’ll happen someday. I hope. 3. When I started developing this world further in the hopes of putting a novel in it one day (see #2), I decided all the characters were going to have really dark skin and hair. This meant that Phaios’ most distinguishing characteristic no longer fit the world…but I left it in anyway. I really need to work on that “kill your darlings” thing. 4. The story is set in a world where people literally glow, and features a main character whose glow is mysteriously fading. In early drafts, criminal activity was what caused people to lose their light. As the story developed, that connection no longer worked with the character arc that I wanted Fulsa to have, but you can see an early (criminal) version of the opening scene in my other Blog Tour post. I'm really excited to have a story included in this anthology and to be ToC buddies with the lovely Leife Shallcross! You can buy a print or ebook copy here! 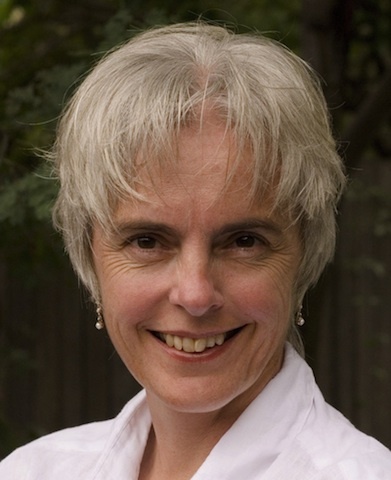 This week's Fairy Tale Friday writer is the amazing World Fantasy Award Winner, Margo Lanagan! 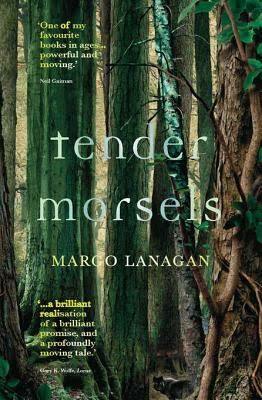 Margo Lanagan has mucked about with “Snow White and Rose Red” (in Tender Morsels) Scottish selkie stories (in Sea Hearts), “Rapunzel”, “Red Riding Hood”, “Hansel and Gretel”, “The Tinderbox”, “Thumbelina” and “The Six Swans” and probably a few other fairy tales, too. Her latest novel is a collaboration with Scott Westerfeld and Deborah Biancotti, the first book of the Zeroes, a YA superhero, which recently landed on the NYT Bestsellers list. 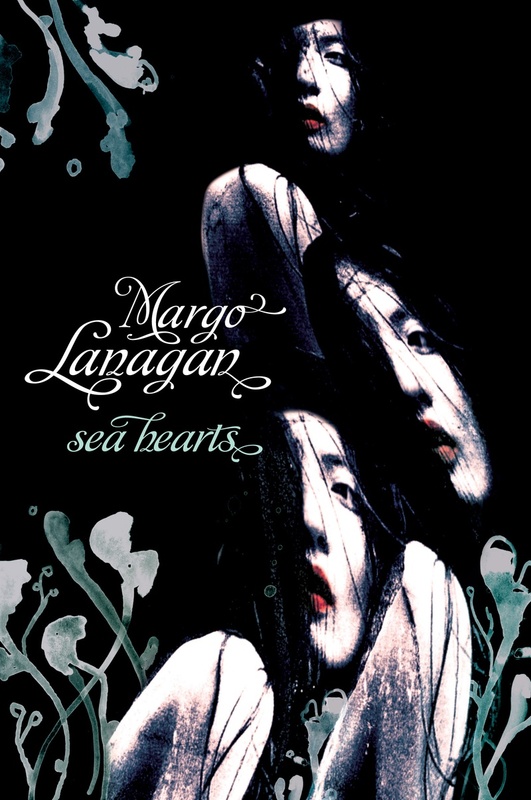 You can find Margo online here. The term ‘fairy tale’ can conjure up clichéd images of ‘happy ever afters’, thanks to Andrew Lang’s ‘Coloured Fairy Books’ Victorian tales for children told before bedtime. In your experience as a reader and writer, what is a fairy tale? As a reader, a fairy tale is a story in a battered old book without illustrations. This story smells of magic and talks about people dealing with danger. It can be read in many forms, lighter or darker according to your taste—some retellings clean fairy tales up so thoroughly that there’s no smell at all! But the best will retain the original’s ability to lift the hairs on the back of your neck with their strangeness. As a writer, a fairy tale’s an interestingly shaped sandbox scattered with tools and toys. The Grimms’ “Snow White and Rose Red”, for example, has bear-to-human transformations, a very cranky dwarf, a pile of treasure, and two innocent girls living a charmed life, all wrapped in a deep, dark forest. Andersen’s “The Tinderbox” has a nonchalantly violent soldier, a beautiful princess and three dogs with ever-larger eyes, as well as the magical object of the title. As soon as you start looking at the furnishings of a fairy tale, they start throwing out possibilities for stories. I have to thrash around a bit to find how each story’s going to transform. Mostly I start by chugging through the entire tale, engineering some sort of change to every element as it shows up in the original. This results in my first, faithful, clinically dead story, whose corpse I sit over disconsolately before I find a way to both break out of the straitjacket of the original and hang on to what I feel is its essence. I’m retelling “Thumbelina” at the moment, and I’ve just got past that breakout point and can feel that this is working now. When I’m reading retellings, I like to be able to see the original through them, see how the author’s used all the juicy bits of the story in her own way—and that’s part of the fun of writing retellings. For example, these four spiders, mentioned in passing as sewing Thumbelina’s trousseau, how can I amuse myself with them? And should this swallow that rescues her be an actual swallow, or should it be a fae aircraft shaped like a swallow, or a rocketship, or a wood-and-fabric biplane with an aviatrix in it called Miss Swallow? These are enjoyable issues to resolve. Generally I get a better story by going for slightly loonier options than I thought I was allowed to. The closest, I think, is scaffolding—although it’s more like a skeleton (bones, as you say), or possibly a heart or a brain, because as well as determining the structure the original elements give a life to the story that it wouldn’t have if I’d written the story from scratch. Because the new story arises from a body of literature that’s widely known in Western cultures, it also transmits energy from its being communal—I’m starting with something that we all agree is a functioning story. So it’s also a rock-steady underpinning. Or possibly a lifebelt, something to cling to in a swirling ocean of too many story possibilities. I wrote a sequel to “Hansel and Gretel”, which was published as “The Goosle”. It re-imagined parts of the original in flashbacks, having Hansel escape the witch but Gretel get left behind and eaten, along with many, many other children. Poor Hansel ran off into Plague-era Europe, where he fell prey to Grinnan, one of a number of tramps roaming the countryside, plundering Plague-victims’ houses and accumulating lost boys as assistants and amusements. My new story echoed the original, but forced Hansel to free himself from this second oppressor by his own actions rather than relying on his resourceful sister. I also gave him pica so that he could eat chunks of the witch’s house without sacrificing my more naturalistic interpretation of the story. I don’t know why doing that tickled my fancy so much, but it did. Ooh, I’d like to pick the brains of a selkie, male or female, and see if I got the transformations in 'Sea Hearts' right. I think the Little Match Girl should come inside and be given a good feed—perhaps we could organise a roster and save her life? And that old lady who gave the tinderbox to the soldier, I wouldn’t mind finding out what mischief she and her ancestors got up to before the magic was stolen from that family. Ply her with a few glasses of wine and I reckon she’d tell an interesting tale or two. 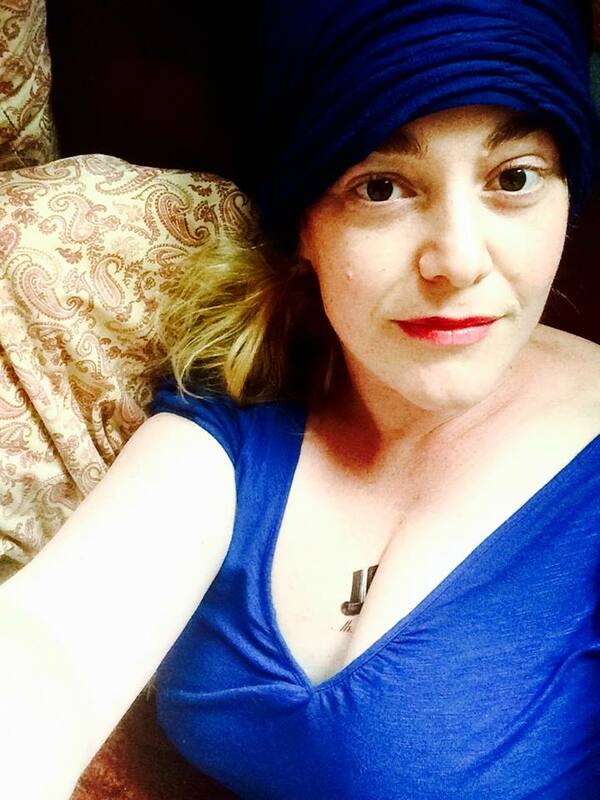 This week's Fairy Tale Friday Writer is the superb Kate Forsyth. If there is a writer who exudes the magic and wonder of fairy tale, it is Kate Forsyth. 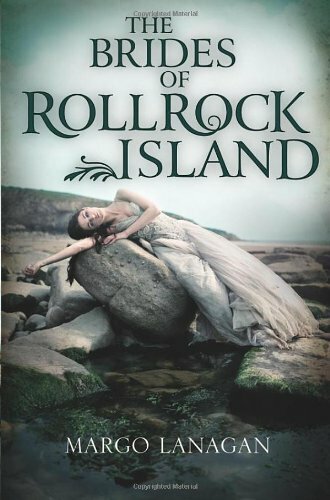 Kate is a wondrous writer of fantasy and fairy tale inspired historical fiction. She is the author of thirty-six books for both adults and children. Recently voted one of Australia's Favourite 20 Novelists, Kate has been called 'one of the finest writers of this generation'. 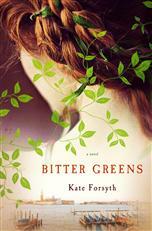 Her fairy tale novel, Bitter Greens, won the American Library Association (ALA) Award for Best Historical Fiction of 2015 and chosen as a Library Journal (US) Best Historical Novel of 2015. Kate's books have sold more than a million copies internationally, having been published in 17 countries including the UK, the US, Russia, Germany, France, Japan, Turkey, Spain, Italy, Poland and Slovenia. Not only is she a spinner of great tales, she also has a doctorate in fairy tale studies! We welcome the amazing Kate to our Fairy Tale Friday! Fairy tales are stories of magic and metamorphosis, which have been told and retold over centuries in ever changing forms, yet still carry within them the essence of their ancient mythic wisdom. I believe this is something that is discovered through the telling of each story. I have used fairy tales in very different ways in each of my novels. Sometimes I retell the story, sometimes I merely draw upon its structures and symbols, other times I tell the life story of the teller of the tale. Each time is a new process of discovery and experimentation. Again, it depends on the novel. In Bitter Greens, I retell the story of 'Rapunzel' in its purest form, and make very few changes to the basic pattern of action, or its motifs and metaphors. I entwine this with the true story of the woman who wrote the tale as it is best known, Charlotte-Rose de la Force, who was a 17th century French noblewoman. 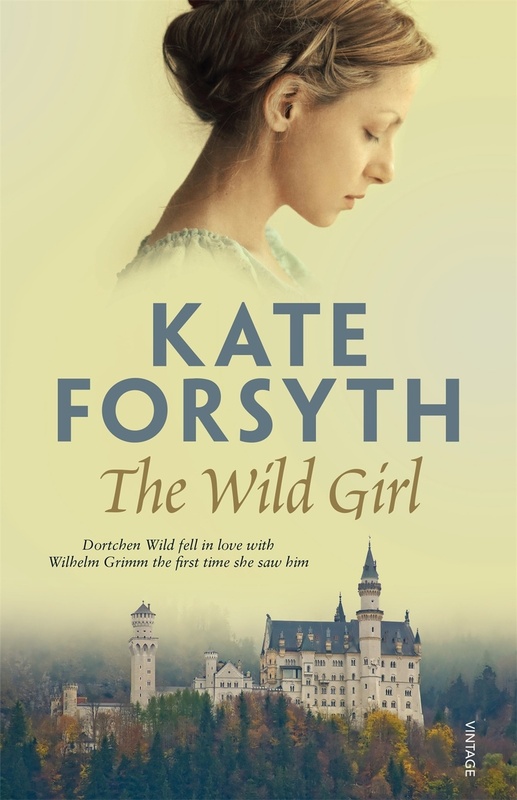 In The Wild Girl, however, I used the stories that Dortchen Wild told Wilhelm Grimm as a way of guessing at her inner life. Only a few of the key elements of each tale remain, and they are concealed within the fabric of the story. 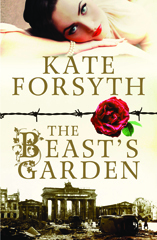 My most recent novel The Beast’s Garden is a retelling of the Grimm brothers' version of 'Beauty and the Beast', set in Nazi Germany. It is a retelling in its lowest possible term. I took the key characters, and the story's skeleton, and transplanted them to Berlin between the years 1938 and 1945. I use the symbols of roses and birds (from 'The Singing, Springing Lark', the Grimm tale), and the idea of the beast-skin being a form of camouflage to hid someone's true nature, but you could read the novel and not realise it was a fairy tale retelling at all. If you could invite three fairy tale characters to dinner, who would they be? And why? I would invite Puss in Boots so he can busy himself getting me a castle and bags of gold, the Portuguese monk who can summon a feast by cooking a stone in a pot, and Scheherazade so she could tell me stories all night. That means all I have to do is sit back and enjoy myself! Fairy Tale Friday with Angela Slatter! Fairy Tales and Fridays go hand in hand. For one, the title itself is lyrically pretty and alliterative, and for the other, as an avid lover of fairy tales, and a writer who likes working with folklore and fairy tale, I thought it would be an interesting to see how women writers work with these tales to create new stories. For our first Fairy Tale Friday Writer we have the amazingly talented, Angela Slatter. I first had the pleasure of meeting Angela at Clarion South where I got to spend six glorious weeks in the company of this wondrous writer of dark tales brewed from the richness of fairy tales and folklore. Angela Slatter is the author of six short story collections (two with Lisa L. Hannett). She has five Aurealis Awards, has twice been a World Fantasy Award finalist, and is the first Australian to win a British Fantasy Award. In 2015 her story Of Sorrow and Such will be one of the inaugural Tor.com novella series, and in 2016 her debut novel Vigil will be published by Jo Fletcher Books, with the sequel Corpselight following hot on its heels. 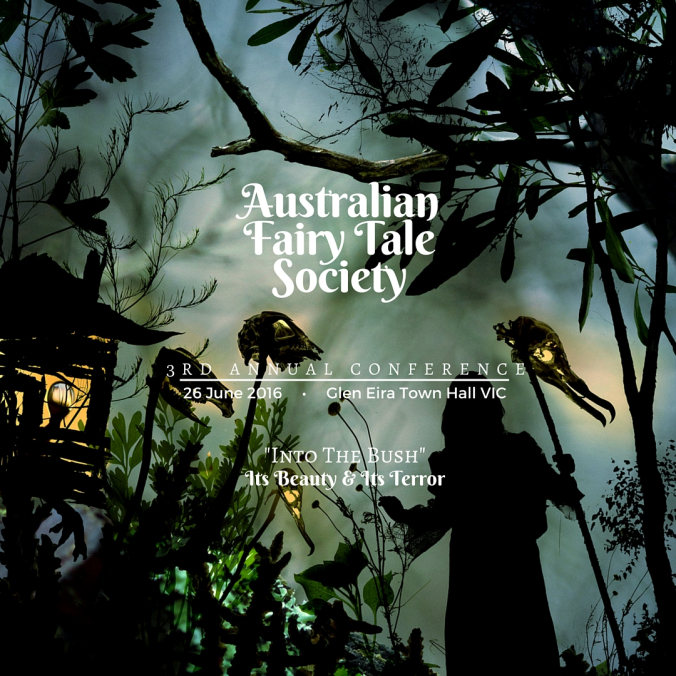 Her short stories have appeared in publications such as Fantasy, Nightmare, Lightspeed, A Book of Horrors, and Australian, UK and US Best Of anthologies. 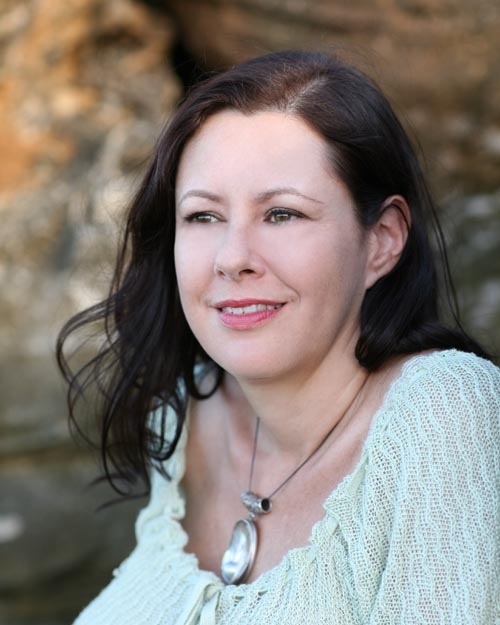 She holds an MA and a PhD in Creative Writing, is a graduate of Clarion South and the Tin House Summer Writers Workshop, and was an inaugural Queensland Writers Fellow. 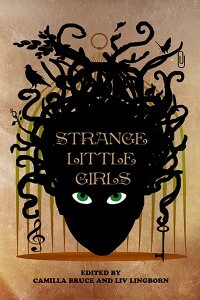 She blogs at www.angelaslatter.com about shiny things that catch her eye. 1. The term ‘fairy tale’ can conjure up clichéd images of ‘happy ever afters’ and thanks to Andrew Lang’s ‘Coloured Fairy Books,’ Victorian tales for children told before bedtime. In your experience as a reader and writer, what is a fairy tale? Well, I think I’m lucky that I got to hear the old versions of the tales before they got Disneyfied! I didn’t, for some reason, read any of the Andrew Langs, and the Grimms’ books I had still had gruesome endings in them (Huzzah! ), and Hans Christian Andersen was the cruellest of them all. For me, a fairy tale is a written version of something that sprang from an oral folk tale - and those oral folk tales were meant to be cautionary tales for adults and children; they were told around fires and warned people about the dangers of life, like wolves in the woods, kids getting lost, and offered explanations for things that weren’t understood back then like violent weather phenomena, etc. They reflected customs and beliefs, learned behaviours, value systems and, perhaps most importantly, consequences - they were stories that didn’t generally have ‘happy ever afters’! For me the ‘fairy tale’ we have today is the literary version of the folk tale, and it’s been transformed and transfigured over time and culture. Nowadays, a lot of them are about ‘entertainment’ for children, but that’s not how they started out and for me the best ones are definitely not about ‘entertainment’ - they still retain their cautionary function. 2. Writers such as Angela Carter have written retellings of fairy tales set in contemporary worlds. In your retellings or re-imaginings how important is it to keep the original content? How important is divergence to you? Or is this something that is discovered through the writing process and unique to each story? There’s a risk in keeping so much of the original content that you just end up re-writing something so close to what’s already been done that the story offers nothing new or special to readers. I like to keep a fairy tale ‘spine’ when I’m starting out, but by the end I’ve generally made the story into something very different. When I first began re-loading fairy tales, the shape remained very close to the originals because this was my ‘prentice work, how I learned the rules and the form - only after that was I able to do something new and different. So the divergence is very important for me in making a tale my own and not just copying the old stories; it’s about making anew, morphing the old skeleton and layering on new and unexpected flesh. Carter talked about putting new wine into old bottles and watching it make them explode, and I think that’s what fairy tale re-workings should do; you just learn more as you go and your mixture becomes more volatile with each batch! I think what you see in my collections is a progression and an evolution: so Black-Winged Angels is very much about re-worked fairy tales with an identifiable spine, then Sourdough and Other Stories draws further away from the source material and into new territory, and then The Bitterwood Bible and Other Tales is another step or three even further away, so while it has fairy tale elements, the stories don’t look at all like old tales re-done. 3. Sometimes writers work with the bones of fairy tales to write new tales. When ‘working the bones’, do you find that the original tales act as scaffolds, metaphors or symbols for your new tale? Oh, I sort of just answered that above! But as a specific example when I wrote “Red Skein”, which is a version of “Little Red Riding Hood”, I kept the skeleton very close to the original one: a young girl with a red cloak, her mother sends her off into the woods to visit granny, there she encounters wolves and there is a woodsman who thinks he’s doing the right thing in saving Little Red and Granny ... except they don’t need saving. In “Red Skein” these female leads are skin-changers, they become wolves; the majority of the difference occurs in the emotional tones, I think, where Little Red (Matilda actually) is older, she’s got no interest in marriage or being ‘normal’, and as a consequence her relationship with her mother is fraught. She gets on better with her grandmother because they are more alike, and not afraid of being ‘dangerous on the inside’. But when I wrote the short story “Sourdough” I was further on in my career and had learned a lot more and was much braver about jumping off the cliff as it were in terms of writing ‘away from the spine’. So, although that story has some fairy tale ‘reflects’ such as the girl putting jewellery in food for the prince (“Donkeyskin” or “Catskin” and a ‘princess’s journey’- which means upward mobility and winning the prince - the tale is very different. Emmeline is a baker and makes wonderful ‘art’ bread that the rich folks of the city clamour for; she meets her beloved when she’s making bread for his wedding; his wife-to-be bewitches him so he’ll forget Emmeline; and Emmeline bakes a ring into a loaf of bread that the wife-to-be chokes on. So, much more original and darker! But yes, some of the bones definitely remain as motifs or ‘reflects’. 4. Can you tell us about a favourite fairy tale you have worked with for one of your stories? Was it a retelling or a re-imagining or a new story with the skeletons of past tales? Gosh, that’s like being asked to choose amongst your babies! But! A few years ago Paula Guran asked if I’d contribute to an anthology called Once Upon a Time: New Fairy Tales. I had drafts of two fairy tales from my MA that I’d never managed to make work and in the end I decided to mash them together. They were “The Raven” and “The White Bride and the Black Bride”. After much gnashing of teeth and editing (and a lot of patient midwifery from Lisa Hannett), that become the story “Flight”, which has been reprinted three times, and is now being turned into a story book for grownups, illustrated by the wonderful Kathleen Jennings and published by the awesome Tiny Owl Workshop in time for Christmas this year! 5. If you could invite three fairy tale characters to dinner, who would it be? And why? Carabosse! And I would make sure she sat at the top of the table; none of this ‘Oh we can only fit twelve fairies at the table’ crap. I think, treated with respect, she’d be perfectly delightful, if a little wicked. Rapunzel, because she needs a serious talking-to about being so bloody passive and giving in to everyone else’s wishes and having no agency of her own. The Little Match Girl, because if anyone needed a good meal and some kindness it’s her. 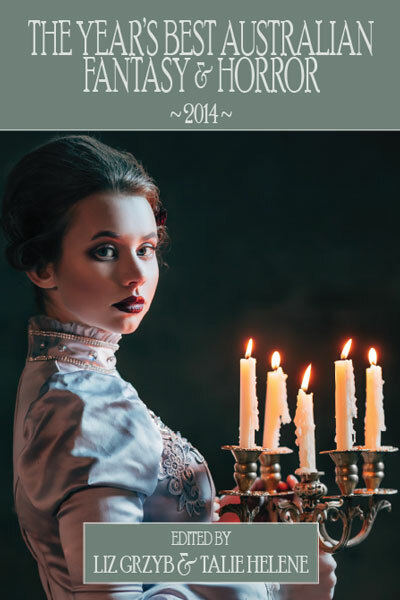 Year's Best Australian Fantasy and Horror 2014 Pre-order Now! 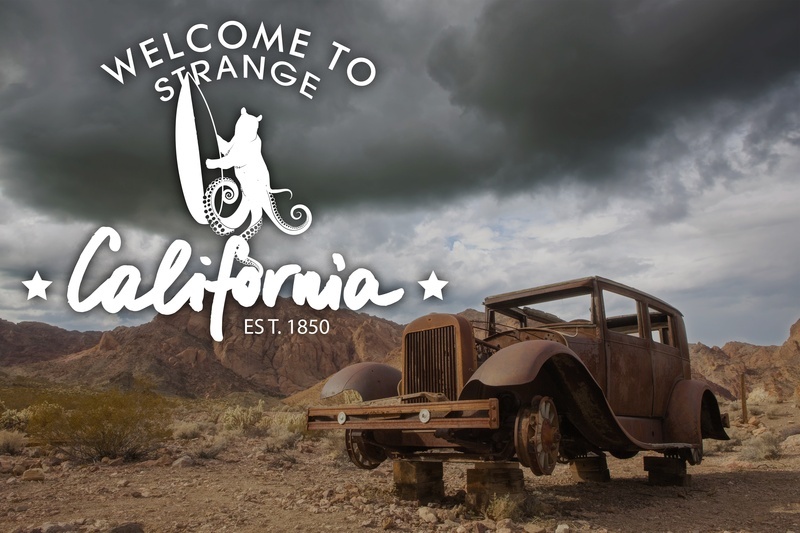 Want the best fantasy and horror stories from down under in 2014? Pre-order The Year's Best Australian Fantasy and Horror here! So excited to have my story, Shedding Skin published by Crossed Genres included in this collection.